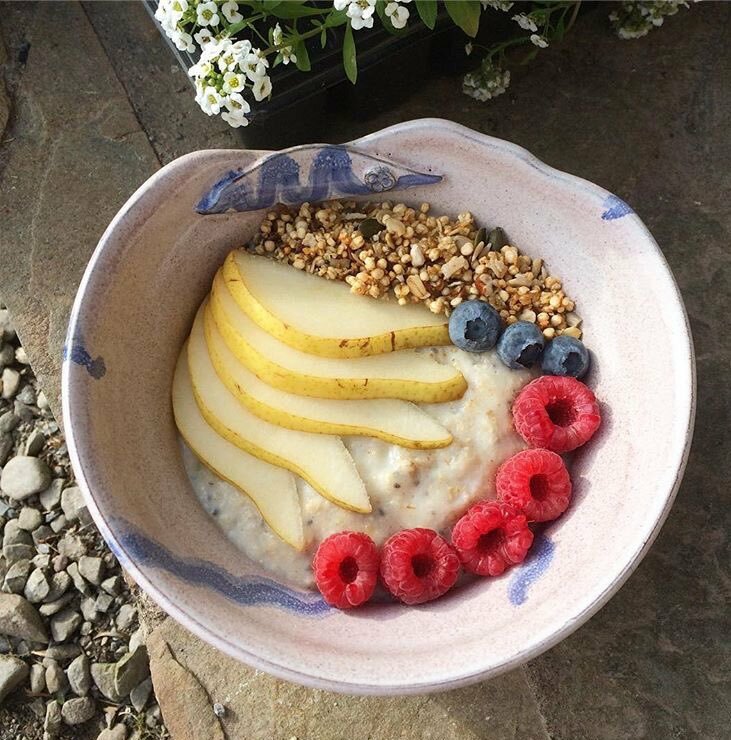 Chia oats, topped with pear, @keelingsfruits berries & our pecan Quinoa Crunch. This lovely pic from Nutrition student Rachel in Cork. Chia oats, topped with pear, @keelingsfruits berries & our pecan Quinoa Crunch. Yum!